Following the success of last year's Country Focus events, ADE will once again be offering in-depth coverage of the most relevant players from the global electronic village, including France, Japan, Canada and Chile. Further countries will be announced over the coming weeks. Following up on recent announcements about festival and conference submissions we continue with more ADE Conference news. After last year's decision to present expert insight into as many countries as the day time program could accommodate, ADE will again be mounting its Guesthouse concept in De Balie with Country Focus events also taking place in the DeLaMar Theater. In both cases, the emphasis is on tightly focused insight into each chosen territory, combined with extensive networking and outreach opportunities. The French scene is currently going through a particularly active period with an explosion of new outdoor events thriving against a backdrop of recent government legislation which is putting city-based nightlife under pressure, adding to the complexities of running a club successfully. A host of French artists have made their way to both ADE Conference and Festival including Acid Arab, Agoria, David Guetta, Francois K., French House Mafia, Laurent Garnier, Miss Kittin and Yuksek. The country is currently also home to many upcoming acts that played ADE in recent years like Agar Agar, Anetha, Bambounou, Hyphen Hyphen, IHateModels, Naive New Beaters and Worakls. Japan has always been home to a unique and fascinating music and art scene, and today perhaps even more so as it is the one remaining mature music market where sound carriers still sell in significant numbers. ADE will be looking at what drives that market sector and the opportunities it offers to outside companies. Artists that have played ADE in recent years include ACE1, DJ Nobu, Rinaly and Soichi Terada, last year's ADE by Day program featured a mind-blowing exposition by visual artist Ryoji Ikeda. Chile's scientific community enthusiastically embraced electronic music as far back as the late 1950s when Werner Mayer-Eppler visited the country. These days Chile is known as the birth place of Ricardo Villalobos, Cristian Vogel and Luciano, and the country's capital Santiago de Chile is home to a thriving and varied rave scene. Richie Hawtin and John Acquaviva were the first Canadian artists to make their mark on the global scene during the original rave era, and more recently the country's dance scene has been focused around Toronto, Ontario and Quebec, with clubs like The London Music Hall being central to the growth of the local scene and local talent. The current generation of Canadian electronic acts includes Conro, Carlo Lio, Mathew Jonson, Misstress Barbara, Mighty Kat and Tiga. 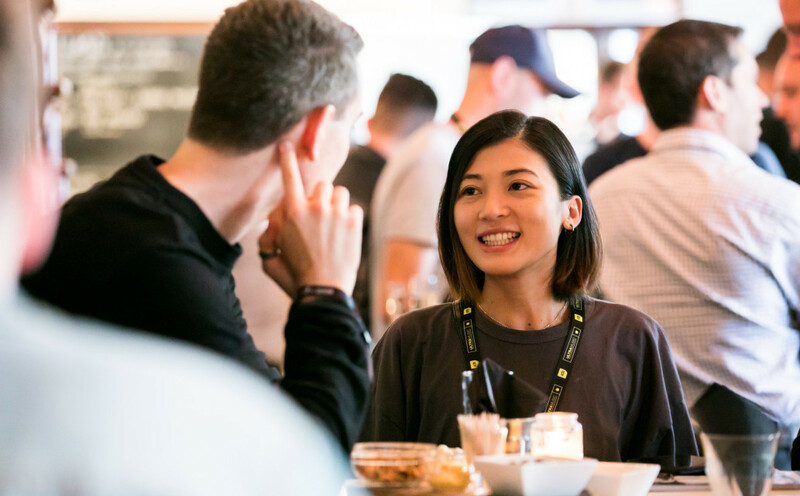 The ADE Pro and the ADE Guesthouse program is accessible for ADE Pass and ADE Conference Pass holders, available here against Early Bird rate.